by Simon Hodgson Many thanks to everyone who filled The Strand on Sunday for the reading of Tom Stoppard’s The Hard Problem. It was great to see so many people showing up for our Scripts Play Reading Series. Aside from the pleasure of hearing Stoppard performed by an all-star cast, it was a treat to see several favorite faces from other A.C.T. shows. On Sunday, The Hard Problem cast included actors from no fewer than four of this season’s mainstage productions: Rinabeth Apostol from Monstress; Ramiz Monsef, currently starring in TheUnfortunates; David Strathairn from the upcoming Chester Bailey; and Rod Gnapp, James Wagner, Rebecca Watson, and Allison Jean White—all currently appearing in The Realistic Jonesesat The Geary. Playwright Will Eno has always been writing, “at least in some shy way,” he says. But it wasn’t until he was in his late twenties that he sat down to write a play in earnest. 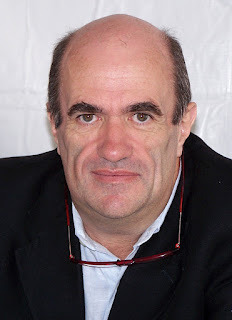 His plays have since won several honors, and one—Thom Pain (based on nothing)—was a finalist for the Pulitzer Prize in Drama. Eno spoke with us about the world of The Realistic Joneses, now running at A.C.T. 's Geary Theater until April 3. What was the inspiration for The Realistic Joneses? The Unfortunates is now playing at The Strand Theater. Get tickets here! “The wigs for The Unfortunates are a special beast,” laughs Kate Casalino. 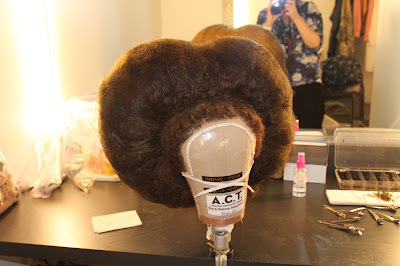 “This show is a lot different than what I’ve traditionally done at A.C.T.” As A.C.T.’s wig master, Casalino works closely with costume designers to create the hairstyles for the show. For The Unfortunates, she had the opportunity to work on a design that balanced a World War I–esque time period with a “funky, weird” factor, resulting in some truly impressive (and massive) wigs. We visited Casalino in the Unfortunates dressing rooms to get the story behind the hair. How did you go about building the wigs? 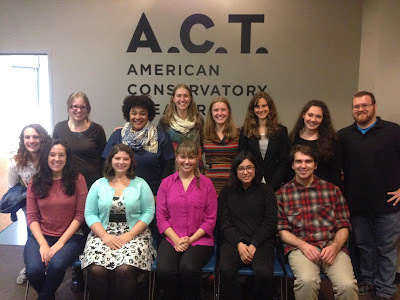 Every year at American Conservatory Theater, there are aspiring young theater professionals doing fellowships in different departments of the company, from backstage to back office. Because of the size of the organization, most of us don’t work together regularly. That’s why The Fellowship Project is so important—it’s an opportunity for A.C.T.’s fellows to work together to produce a show from start to finish, contributing their disparate skills to a larger production and honing their craft as artists and administrators. “For a designer, The Unfortunates is unusual,” says scenic designer Sibyl Wickersheimer. “I don’t often get to create a different world that feels nonsensical. The props take on a larger-than-life quality, with these giant fists, giant arms, and giant creations. We want to keep surprising the audience.” Wickersheimer is full of surprises. She has designed scenery for dozens of productions, including projects at Seattle Repertory Theatre and the Geffen Playhouse, as well as productions at the Natural History Museum of Los Angeles County and even a Disney cruise-ship production of Toy Story—the Musical. With The Unfortunatesplaying at A.C.T. 's Strand Theater until April 10, we caught up with Wickersheimer to talk about the visual inspirations behind the scenic design. 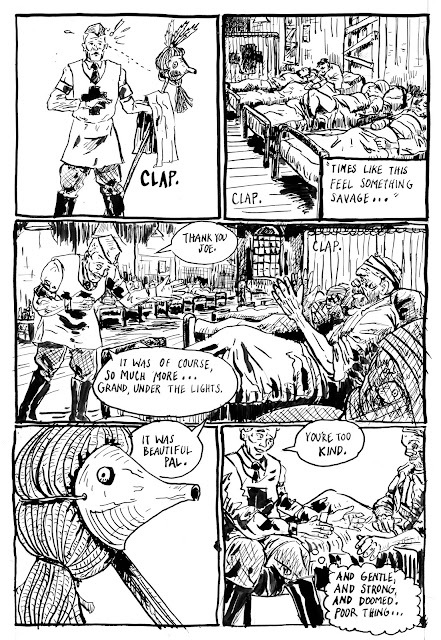 What are the visual influences for The Unfortunates? Audiences at Will on Wheels performances are always eager to pick the brains of the actors involved. For some audience members, a Will on Wheels performance will be the first time they’ve seen Shakespeare performed onstage; for others, it will be the first time they’ve seen a live theatrical performance at all. But from Marin middle school students to San Francisco senior citizens, A.C.T.’s second-year Master of Fine Arts (M.F.A.) Program actors are lucky to encounter some of the most diverse and engaging audiences when they embark on A.C.T.’s annual Shakespeare tour to Bay Area schools and community centers. 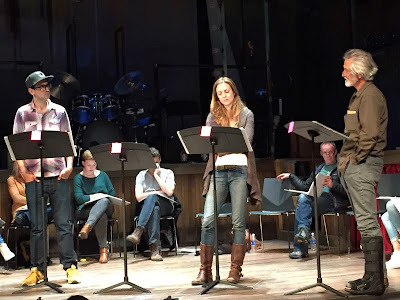 The Expanded Universe of The Unfortunates By Shannon Stockwell While super heroes like Deadpool, Ant Man, and The Avengers take over the big screen, the world of graphic novels also finds a home in live theater. The Unfortunates, the larger-than-life musical journey of Big Joe and his giant fists, is a visually stunning story that the San Francisco Chronicle says "could have emerged from the pages of a comic book.” Throughout the creation process of The Unfortunates, writer and actor Ramiz Monsef kept telling his collaborators, “We need to do a comic book for this!” To Monsef, an ardent comic-book fan, the world they were creating was perfect for the graphic-novel format. But there was a problem: Monsef can’t draw. “It was an equation I couldn’t finish myself,” he says.